Response: Parents are reporting that screen time is one of their major concerns, so we wanted to find out more about how large of a role screen time was playing on children’s developmental outcomes. We were especially interested in the long-term impact of screens, which is why we followed children over time, from ages 2 to 5 and repeatedly assessed both screen time use and children’s achievement of developmental milestones. Our study revealed that on average children were viewing screens for 2.4, 3.6 and 1.6 hours per day at two, three and five years of age, respectively. This means that the majority of the participants in our sample are exceeding the American Academy of Pediatrics’ guideline of no more than one-hour of high quality programming per day, for children aged 2-5 years. We found statistically significant, albeit small effects suggesting that greater amounts of screen time at two and three years predict poorer child outcomes at three and five years, respectively. Thus, screen time has a lasting influence on children’s development. The opposite pattern was not observed. That is, we did not find evidence that children showing poor performance in terms of achieving developmental milestones were more likely to be place in front of screens to help cope with their potentially challenging behaviors. Response: When used in excess, screen time can have consequences for children’s development. We should think of screens like we do junk food, in small doses it’s ok, but in excess, it is problematic. But it’s never too late to make a change to the way digital technology is used in the home. Media plans can be developed as a family to manage media in the home and determine how often devices will be used, as well as when and where they will be used. Response: In this study, we asked about total hours of screen time and, as a result, we can’t determine if context matters (i.e., screens viewed with caregivers or not), or if there are certain types of digital mediums or devices that are worse than others (e.g., interactive screens, gaming consoles, or streaming media). Thus, it will be important to decipher in future research whether co-viewing screens with a caregiver, for example, dampens associations between screen time and delays in children’s development and whether certain types of screens are more or less detrimental for children’s development. Response: There has been growing concern that children may become “addicted” to screens, such as tablets and other mobile devices. Children at younger ages are now “owning” their own mobile devices and have increased access to gaming apps and other rewarding functions of these devices. Until now, there hasn’t been a parent report form available to capture addictive like use of screen media in children. The Problematic Media Use Measure (PMUM) assesses addictive-like use of screen media in children under 12 years and has strong psychometrics. We found that the PMUM does a better job in predicting psychosocial difficulties in children, over and above hours of screen time. Response: The degree to which screen time influences youth across a variety of behavioral outcomes has been a source of debate and contention for decades. For many years the American Academy of Pediatrics recommended to parents that they allow older children no more than 2 hours of screen time per day. However, this number was never clearly based on good data. And in 2014 one study (Przybylski, 2014 in Pediatrics) suggested that ties between screen time and behavioral outcomes were very weak, and only seen for the most extreme screen users. So I was curious to see if these results would replicate for a large sample of US youth. Response: Norway has one of the highest reported incidences of osteoporotic fractures in the world. Research on fracture risk has primarily focused on bone mass in the elderly. However, there is a growing awareness of the importance of bone mass during growth as a compensation for the inevitable bone loss and prevention of fractures in the elderly . A recent study on Norwegian adolescents´ lifestyle and bone health concluded that peak bone mass seem to be modifiable by lifestyle factors as higher physical activity levels were strongly associated with bone mass. The other way around; low levels of physical activity may have considerable negative effects on bone health, and increasing sedentary behavior in place of sports and play during growth is worrying. 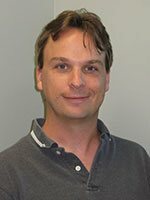 In this study we explored the associations between self-reported hours spent in front of television/computers during weekends along with self reported hours spent on leisure time physical activities and bone mass density (BMD) levels at the hip. This population based study, Fit Futures 1 consisting of 388 girls and 359 boys 15-17 years old was conducted in 2010/2011, and repeated two years later including 66% of the original cohort (Fit Futures 2; 312 girls and 231 boys). Boys spent more time in front of computers and television than girls; approximately 5 and 4 hours, compared with 4 and 3 hours daily in weekends and weekdays, respectively. Physical activity levels were adversely related to leisure time computer use at weekends. However, 20 % of the girls and 25 % of the boys balanced 2-4 hours in front of the screen daily with more than 4 hours of sports and hard training per week. 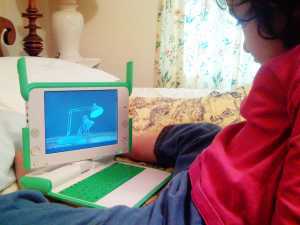 Screen time at weekends was negatively associated with bone mass density levels in boys and positively in girls, after adjustments of several confounders known to affect bone, including age, puberty, physical activity levels and weekday screen time. Moreover; these contrasting patterns persisted two years later.